Generation Star Wars: Star Wars: Episode VIII titled Tale of the Jedi Temple? 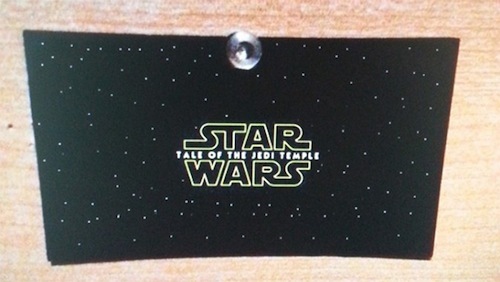 Star Wars: Episode VIII titled Tale of the Jedi Temple? The rumoured title for Star Wars: Episode VIII is Tale of the Jedi Temple as shown in this purportedly leaked image doing the rounds on social media. Allegedly an announcement confirming the title of director Rian Johnson's sequel will be made on May the Fourth. 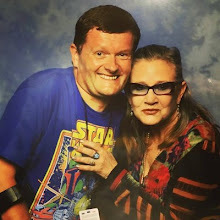 That's a possibility, but Star Wars Celebration Europe seems more likely. "Me and Mark [Hamill] have been rehearsing a lot, and it’s really amazing. When we went back to Skellig to do the opening of VIII, it was so crazy doing the same scene with a different crew of people. He’s amazing to rehearse with, and I’m very excited to be doing the rest of the stuff." Star Wars: The Force Awakens failed to win a single nomination at the awards ceremony. It should have won best editing. However, C-3PO, R2-D2 and BB-8 crashed the ceremony to laud composer John Williams. 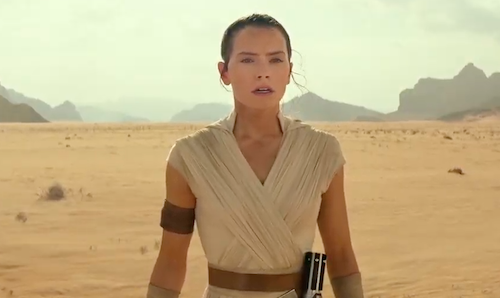 What do you think of the alleged title and The Force Awakens' failure to win an Oscar? Let me know in the comments below.